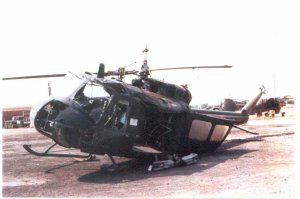 I was stationed in Phu Loi Co A 1st AVN BN 1st INF DIV. From Dec. 66 - Nov. 67. I flew crew chief (door gunner) on Huey D models. 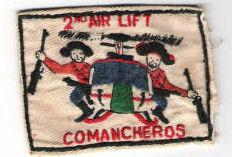 Was with the 2nd Airlift Comancheros. 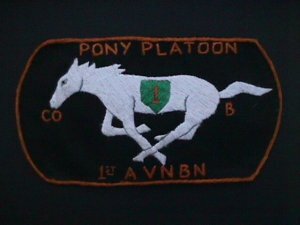 I've enclosed picture of our pocket patch. I'm not sure but believe we had the Big Red One ensigna on the nose and face of a bulldog on large doors.